Lutify.me | My color edits aren’t exported from Premiere Pro. What should I do? My color edits aren’t exported from Premiere Pro. What should I do? 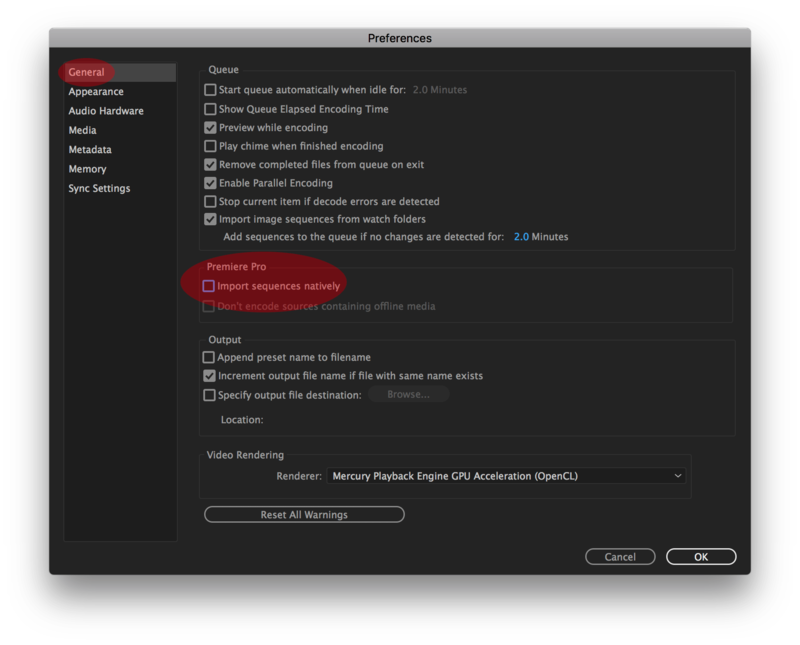 It is possible for the exported videos from Premiere Pro not to include color edits, particularly any LUTs applied during the color grading stage. This issue happens when exporting through Media Encoder only and is related to a setting which causes the Media Encoder not to import your color edits from Premiere Pro. If you can see the LUTs applied to your edits in Premiere Pro but they’re not showing in the exported videos, please follow these instructions to fix this issue. Under General tab, make sure the option ‘Import sequences natively‘ under Premiere Pro is disabled. That setting causes the Media Encoder to import the footage from Premiere Pro without color edits effectively discarding your LUTs edits from the exported video.